Home » Can I Pay With a Credit Card? 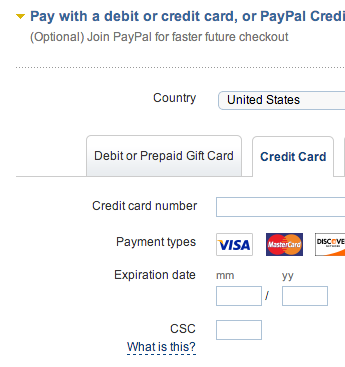 Can I pay with a credit card or debit card, without a PayPal account? 1. 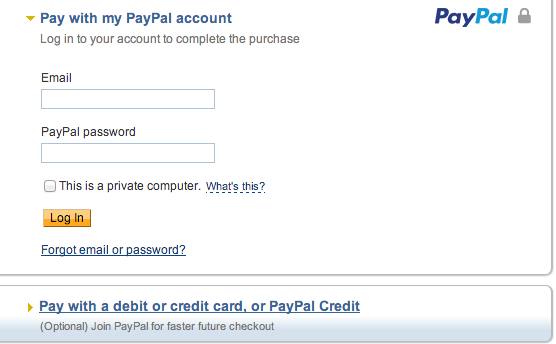 Go through the website check out process and at "Step 5: Payment Method", select PayPal as your selected method of payment. 2. At Step 6: Conform Order, select "Confirm Order". You will then be transferred from mtnelectronics.com to PayPal's system. 3. Once you are at PayPal's system, you will see a drop down menu entitled "Pay with a debit card or credit card, or PayPal Credit". Click the drop down arrow. 4. Once the arrow is clicked and the menu is expanded, you will be able to enter your credit card or debit card information.